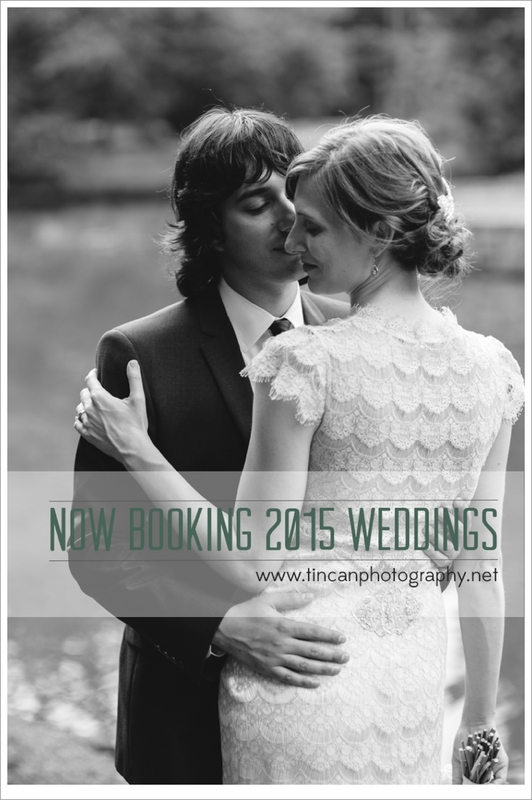 Your Atlanta Wedding Photographers | Tin Can Photography | Blog: engaged? ...let's meet! We've officially been in business as wedding photographers for three years now (just got our 2014 license--hooray!). If there is one thing (other than the actual photography) that we have found to be supremely important in our jobs, it's scheduling. Scheduling is a HUGE part of how we help our clients once they've booked with us. But if you're newly engaged, you need to know a few things about this topic. We're Number Two. After you book your venue, seek out a photographer immediately. We like to treat our clients with great care and attention so we only book one wedding on any given Saturday. Other vendors, like florists and bakeries, handle a handful of weddings every weekend. After you have settled on a date and book your venue, make booking a photographer number two on your list. Timing is Everything. One recent survey by a wedding industry leader finds June to be the most popular month for weddings. From our experience, May is always the first booked and most booked time of the year for weddings in Georgia. We've already started booking for May of 2015. If you think you want to plan your wedding during these two months, you'll definitely want to secure your top picks for a venue and photographer before their calendar fills up. Engage in Engagements. Traditionally, wedding invitations are sent out 6-8 weeks prior to the wedding date. Save the Dates are not required but they are certainly moving from the category of trend to tradition. In general, Save the Dates should be sent out 6-8 months before the wedding date. As these notifications can be a little less formal than your invite, it's good to have a wedding web site and/or engagement photo included. As you excitedly plan for your big day, don't forget to plan for the little steps along the way. Book your engagement session when you book your wedding photography and set a date for this session right away. Keep in mind the time it will take your photographer to edit your photos before you can use them. Not only will you be thrilled to have beautiful Save the Dates and a polished wedding web site with great details for your guests, you'll have developed a great relationship with your photographer that will put you at ease on your wedding day! Don't let planning a wedding send you into a panic attack! Start with a date and slowly work backwards to develop a game plan. And then call us to sit and chat over coffee or drinks! You can fire away with wedding questions, photography related or otherwise, and we'll have a good time.